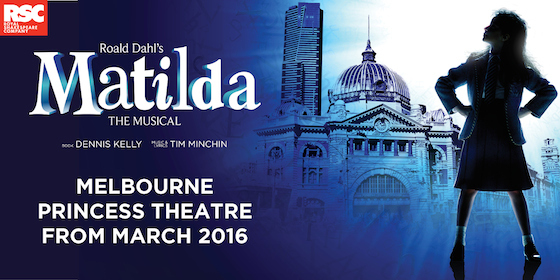 Tim Minchin · Meet the Melbourne Matildas (and the rest of the cast)! Meet the Melbourne Matildas (and the rest of the cast)! After the exciting announcement last month that Matilda the Musical will be heading to Melbourne, we can announce the four leading ladies who will be taking turns to play the title character! 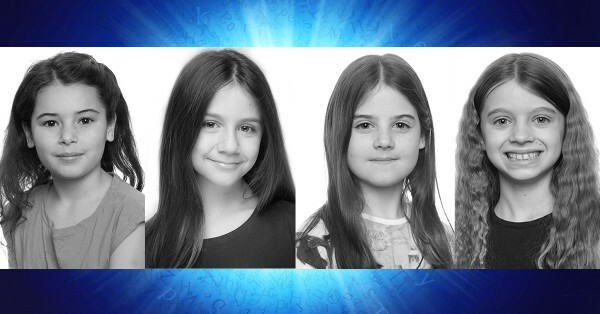 The four young actress taking on the role of Matilda are (from L-R) Dusty Bursill, Tiana Mirra, Alannah Parfett and Ingrid Torelli. They will be joined by the full Original Australian Adult cast from Sydney, including the principals (in alphabetical order), Marika Aubrey (Mrs Wormwood), Daniel Frederiksen (Mr Wormwood), Elise McCann (Miss Honey) and James Millar (Miss Trunchbull). Matilda’s classmates will be played by Charli Bowers, Freya Cantwell, Keely Corcoran, Jack Coyne, Jeremiah Duncan, Shyla Farrugia, Tahlia Gerosa, Cooper Guinea, Jazi Hall, Kushinka Jayewardene, Andre Karabajakian, Kathleen Lawlor, Campbell MacCorquodale, Thierry Mendoza, Chloe Ngo, Chihana Perera, Adam Punsalang, Kyle Reynolds, Orlando Schwerdt, Hudson Sharp, Daniel Stow, Alistair Touliatos, Caleb Waterworth, Tahlia Williams and Mackensie Young. The Melbourne run will commence mid-March at the Princess Theatre and tickets are on sale now from Ticketmaster! To learn more about the Australian production of Matilda the Musical and hear some previews of Tim’s songs for the show, visit their website. If you want to know all about the show’s journey from a small theatre in Stratford-upon-Avon through to being a worldwide smash hit, you can have a read of that here. What a brilliant piece of theatre produced here. From the outset to the end it was brilliantly entertaining & what got me was the timing that the players displayed.Wanted to see the show in London when we were there but lost the opportunity. Glad we were able to see it last night in our home town. My children grew up with the movie & wore out the video so I had an idea of the story. Congratulations to all. & to Tim, I have been a follower for a few years now. Loved your role & voice as Judas in JCS at Rod Laver & have enjoyed your DVD from the Royal Albert Hall. You are certainly original in your craft. Best wishes for a great season at the Princess Theatre.